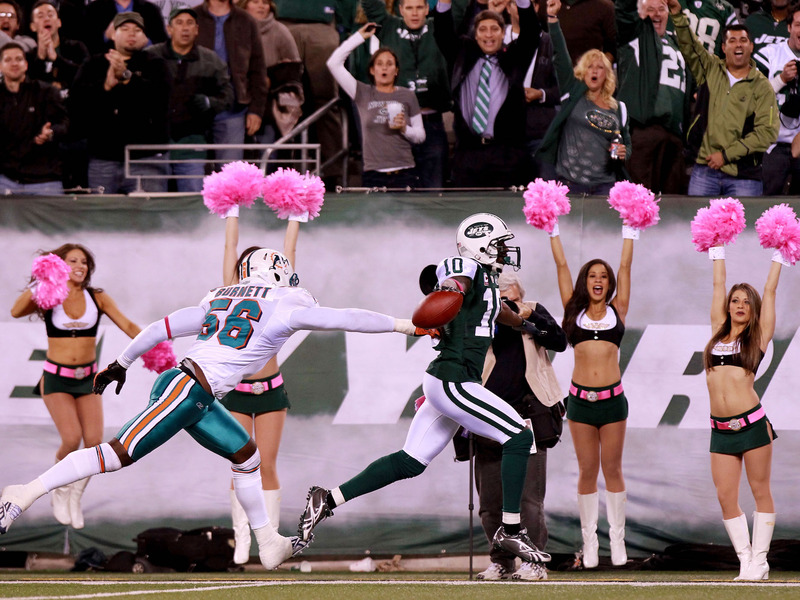 Wesley Hitt/Getty ImagesYou’ve probably seen NFL cheerleaders on the sidelines, or maybe during halftime at NFL games. But have you ever wondered what their job is really like? 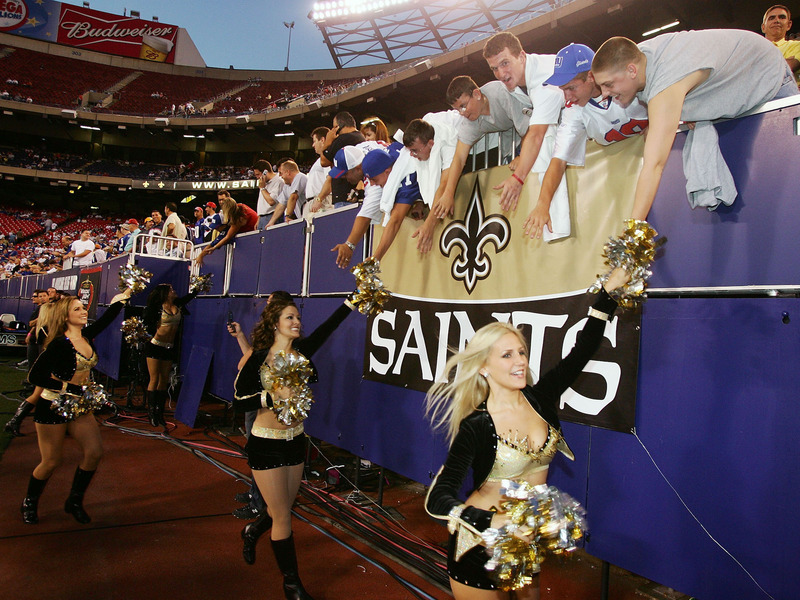 Cheerleaders are a common sight in most NFL games, cheering on their teams from the sidelines and entertaining crowds during halftime. 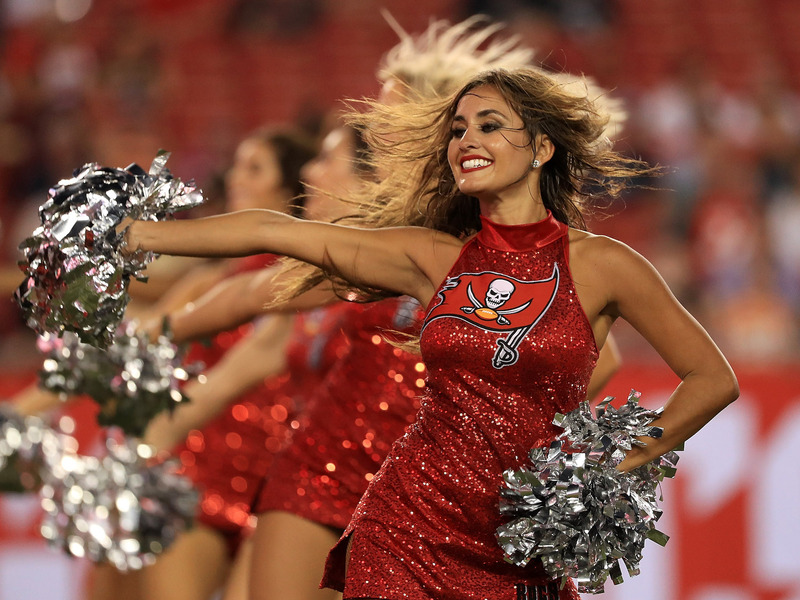 But recent reports of harassment, lack of compensation, and discrimination have shed some light on the treatment of cheerleaders in the NFL. 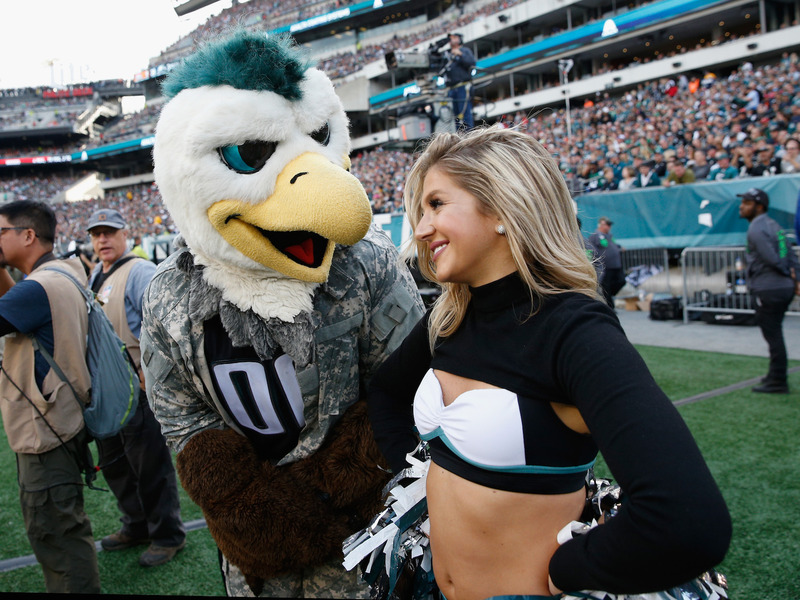 Here’s what working as an NFL cheerleader is really like. 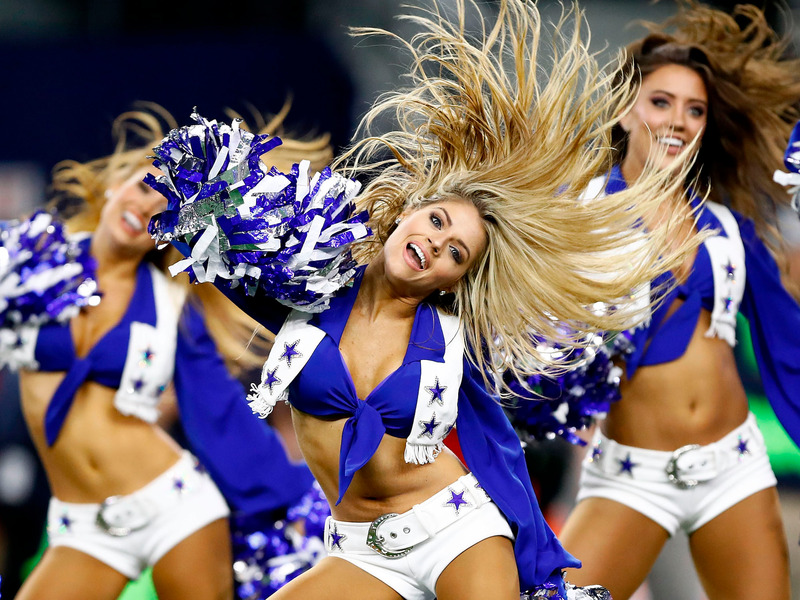 You’ve probably seen NFL cheerleaders on the sidelines, or maybe during halftime at NFL games. But have you ever wondered what their job is really like? 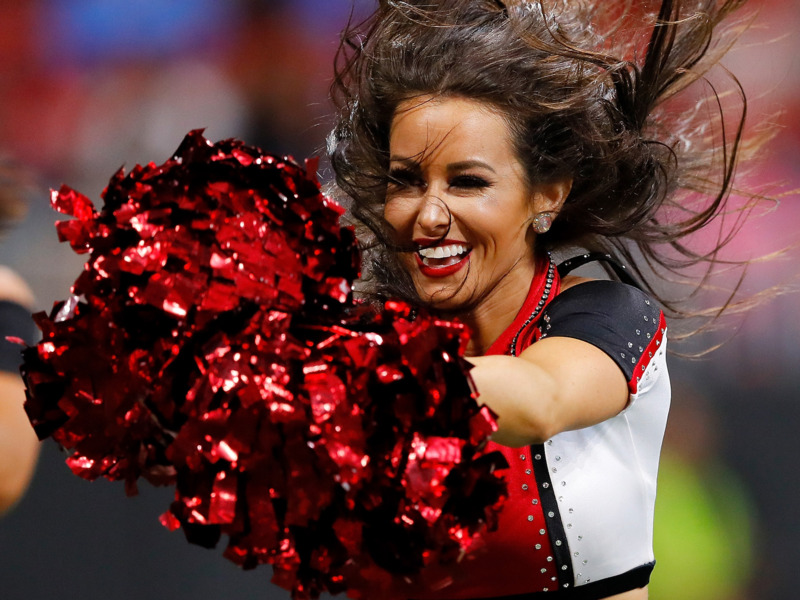 Recent reports of harassment, lack of compensation, and discrimination have shed some light on the treatment of cheerleaders in the NFL. But to get a better idea of what the job is really like, Business Insider talked to four former NFL cheerleaders, who spoke candidly about the questions surrounding compensation, social media, and rules about interacting with players causing controversy throughout the league. 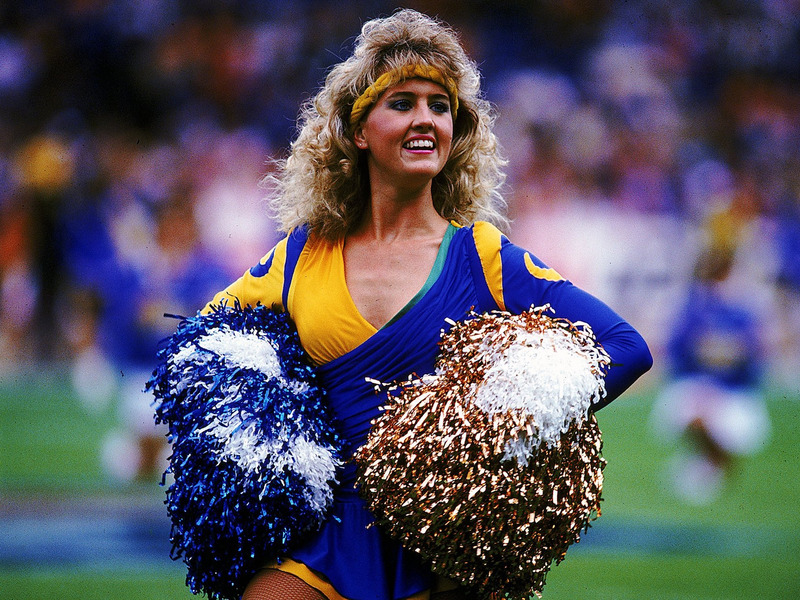 The women we talked to appear to have had overwhelmingly positive experiences during their time as cheerleaders. 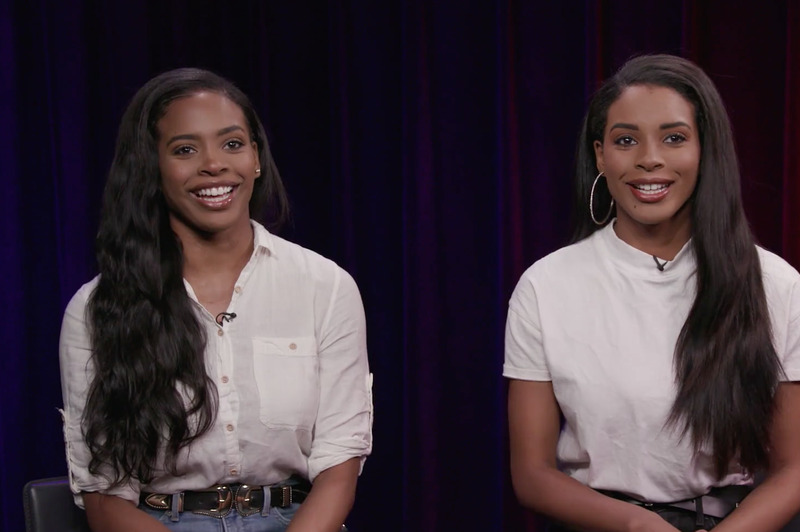 Here’s what they said working as an NFL cheerleader is really like. Most NFL teams have cheerleaders. You see them on the sidelines during games and sometimes during halftime. Looks like they’re having fun, right? …leading us to wonder what being an NFL cheerleader is really like. It all started back in 1954 when the Baltimore Colts became the first team to have cheerleaders. Since then, getting a highly-coveted spot on the squad has become super competitive. Every year, thousands of women audition for a spot on an NFL cheerleading squad. A spot on the squad is a paid position and is officially considered to be part-time. And each NFL team gets to decide how much its cheerleaders are paid and what kind of guidelines and rules they must follow. …they also have to show up for mandatory appearances and practices. 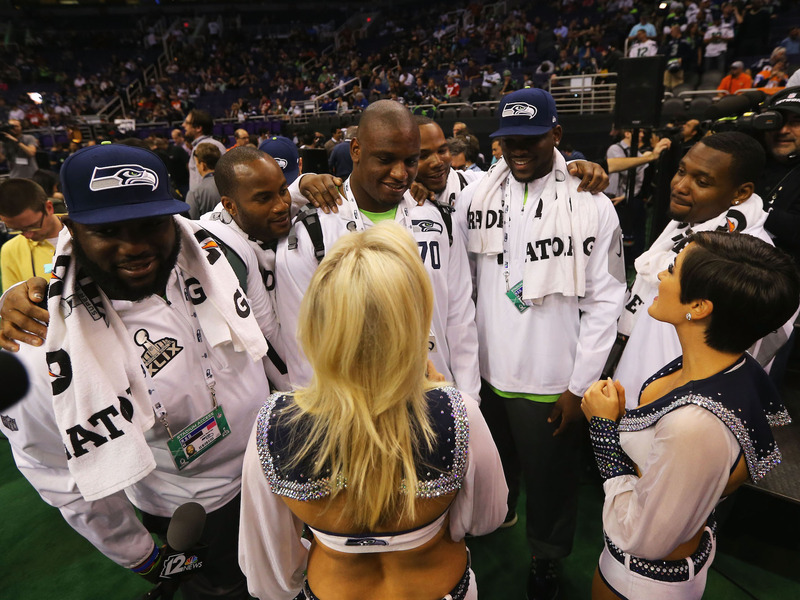 Maury Phillips/Getty Images for CBS RadioSeattle Seahawks cheerleaders perform onstage during CBS Radio’s The Night Before at US Airways Center on January 31, 2015 in Phoenix, Arizona. But as it turns out, they’re not always getting properly compensated for their time and effort. 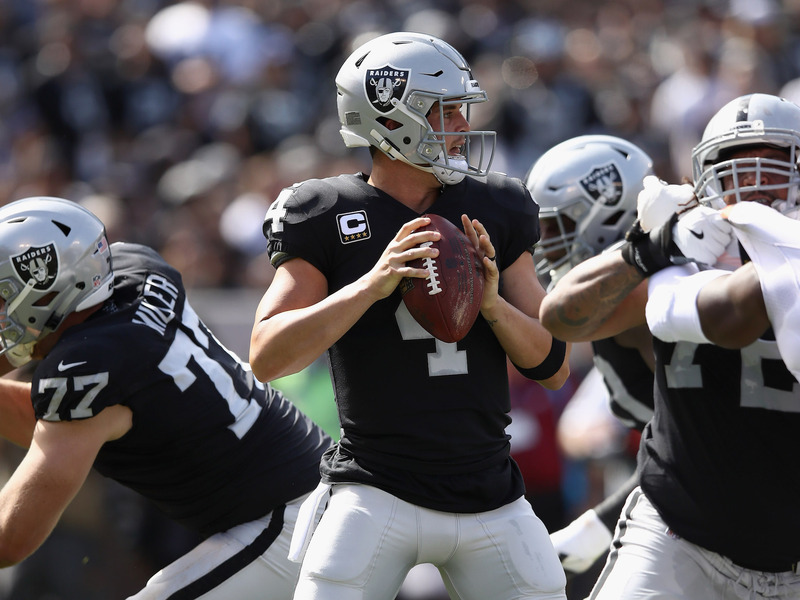 In 2014, the Oakland Raiders paid a $US1.25 million dollar settlement to former cheerleaders after a class action lawsuit alleging wage theft. 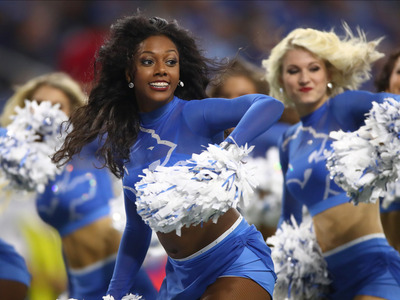 Cheerleaders with the Cincinnati Bengals, Tampa Bay Buccaneers, and the New York Jets have also brought wage lawsuits against their teams. 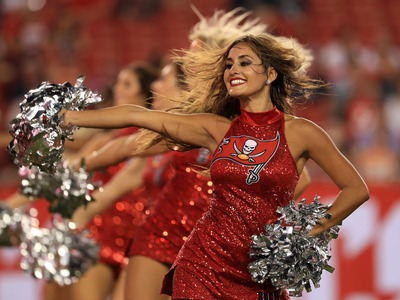 Some Cheerleaders in the NFL reportedly make between $US75 and $US150 a game and $US50 an hour for special appearances, but the pay is not standardised across the industry. 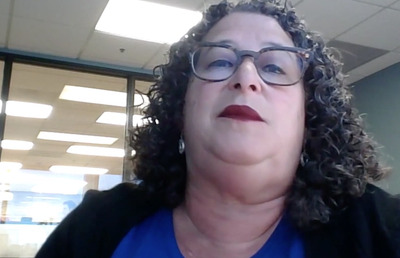 Sharon Vinick, an attorney who worked on the 2014 class action lawsuit against the Raiders, said women felt intimidated to speak up for themselves. “The women are told that they’re really, really fortunate to be dancing, and if they don’t want to dance, they don’t have to,” Vinick told Business Insider. 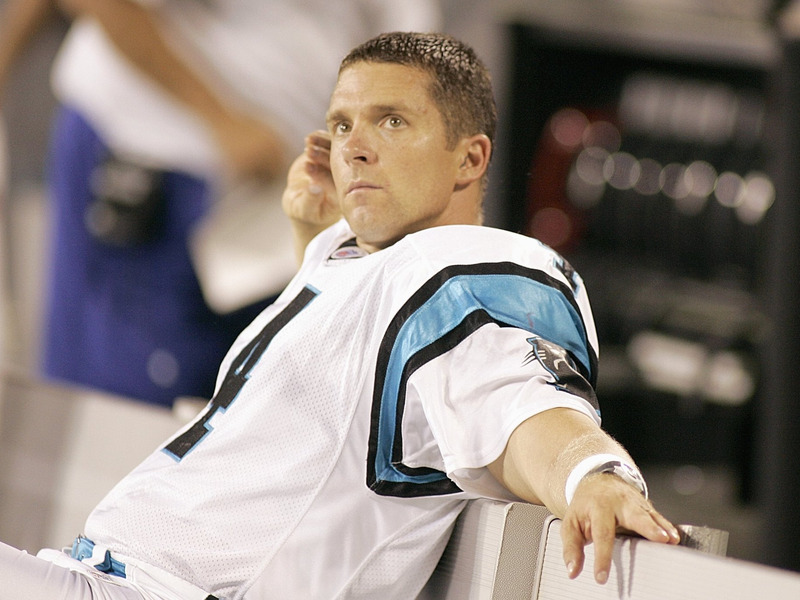 “But compare that to the guys who are the quarterbacks. 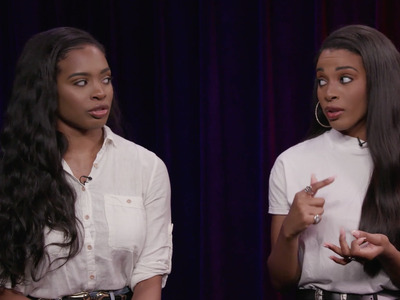 I mean, they’re very lucky to be quarterbacks, but they’re still paid millions of dollars,” she said. Twin sisters Dresdynn and Schuyler Warnell, who both cheered for the Houston Texans from 2010 to 2014, said they were paid about $US200 a game, plus compensation for travel expenses, practices, and appearances. They said overall they had a positive experience while on the Texans squad. Graham Flanagan/Business InsiderFrom left to right: Dresdynn and Schuyler Warnell. But their pay is more than the $US1,250 Oakland Raider cheerleaders, known as Raiderettes, made a season. For comparison, Vinick said reports suggest that mascots make an estimated $US40,000 to $US60,000 per season, plus benefits. And the least-played NFL team member, or a “benchwarmer” who doesn’t play in games, gets paid $US100,000. “$US1,250 is less money than someone who’s selling hot dogs in the stands gets paid,” Vinick said. It’s definitely not a salary you can live off of, said Jennifer Omohundro who cheered for the Tennessee Titans before joining the Atlanta Falcons in the early 2000s. She said what she made was “definitely minimal,” but despite the low pay, cheering was “a wonderful experience” for her. Scott Halleran/AllsportOmohundro cheering for the Tennessee Titans in 2001. “It is really unfortunate to hear a lot of the other stories about women who have not had the same positive experience I had,” Swartz said. NFL cheerleading squads also have a number of rules to follow. Strict social media restrictions are some of them. 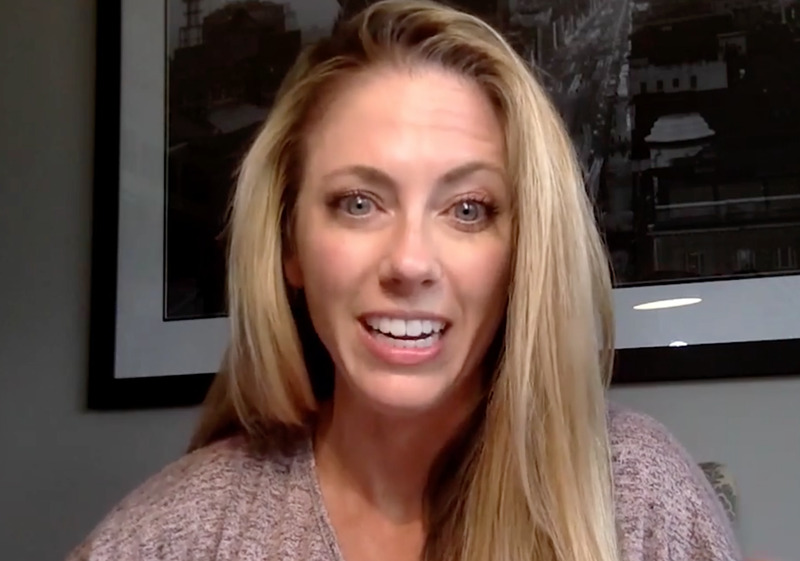 So strict, in fact, that a former New Orleans Saints cheerleader was fired over an Instagram photo of her wearing a one-piece outfit. Sean Gardner/Getty ImagesFormer New Orleans Saints cheerleader not pictured. 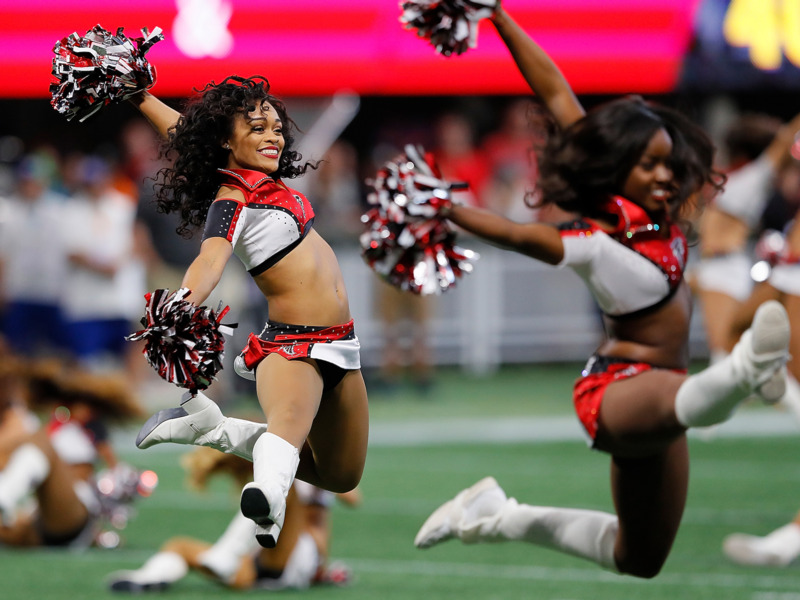 She’s now suing for discrimination, claiming that the male football players in the NFL aren’t held to the same standards that the female cheerleaders are. Swartz said she and her fellow Eagles cheerleaders did not have Instagram, Twitter, or Facebook accounts. “We weren’t allowed to have any of those, and that was mainly for our protection,” she said. While the no social media rule is common, some teams, like the Denver Broncos, allow their cheerleaders to post from social media accounts officially affiliated with the team. 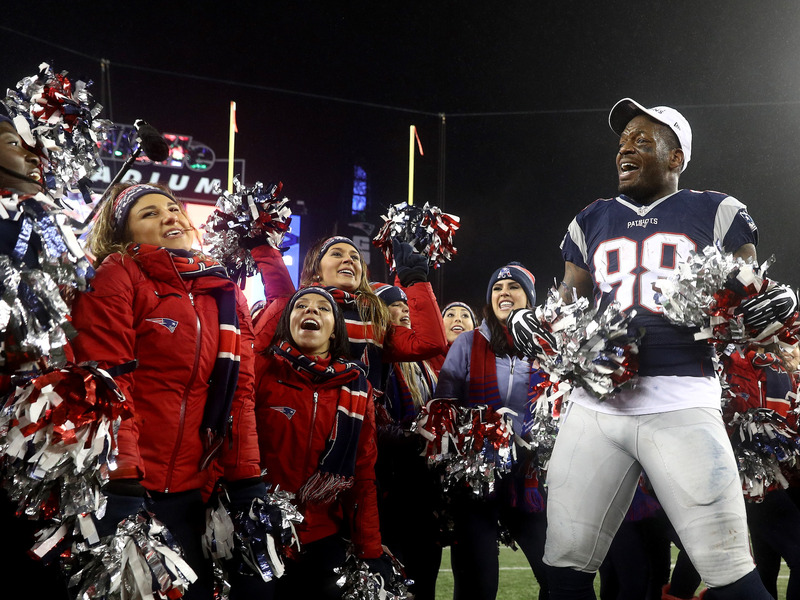 One of the most common rules for NFL cheerleaders is that interaction with players is strictly prohibited, and violation of this rule can result in immediate termination. But off the field, the cheerleaders are required to maintain their distance from players. “They would even go as far as saying if, say, you’re at a restaurant and a couple of the players come in, we would have to leave because they don’t even want us in the same room,” Dresdynn Warnell said. “We will get fired and they won’t,” said Schuyler Warnell. 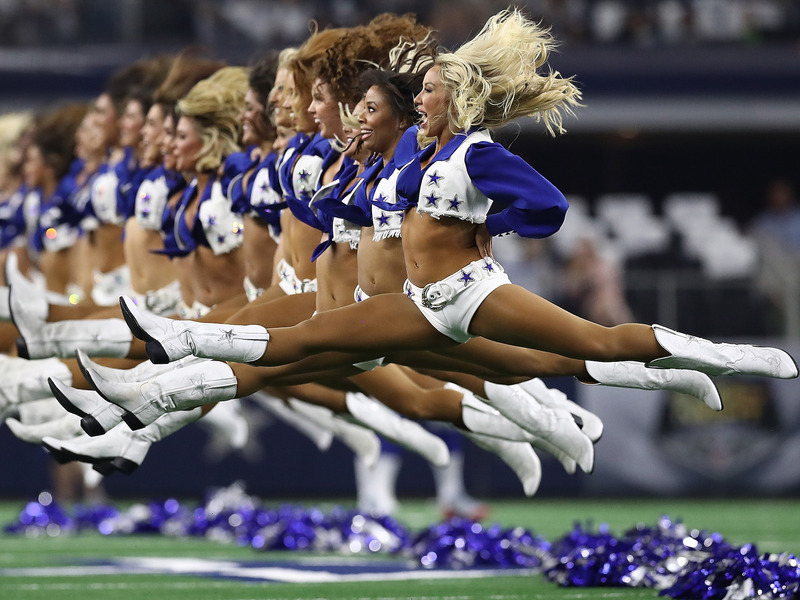 Some NFL cheerleaders said they were held to strict weight standards as well. Some said they were made to jump to see if their flesh jiggled or suspended if they were ever more than three pounds outside of their ideal weight. One former Houston Texans cheerleader sued the team after she said her coach called her “skinny fat” and duct taped parts of her skin during games to make her body appear firmer. Drew Angerer/Getty ImagesAbove: Angelina Rosa (middle) said her coach, Alto Gary, duct taped her stomach skin to make her body appear more taut. Rosa is involved in two lawsuits that also include claims that Houston Texans cheerleaders were not being paid minimum wage or overtime. Gary has since resigned. …which can sometimes include unsavoury encounters. Overall, the cheerleaders Business Insider spoke to said their teams did a good job of making sure they felt safe. And, overall, the women we talked to seemed to have experiences that were overwhelmingly positive. “I really felt empowered by the entire experience,” Swartz said. But every team is different, and only time will tell if the ones under scrutiny will actually change for the better.